Blades of Glory Movie Review and Bday! Today was Cory's bday! We celebrated casually at home. Take-out eating at home, movie watching, and cake eating. 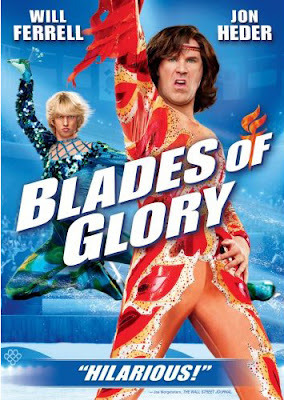 We watched Blades of Glory and our review in a nutshell is it is totally funny! We both love Will Ferrell and Jon Heder. If you haven't seen this one yet, it's worth a laugh or two! Happy Birthday to my honey. Question: What book are you reading right now? Teresa stood back from a distance and watched her girls as they played in the water on a cool Summer night in Sacramento. 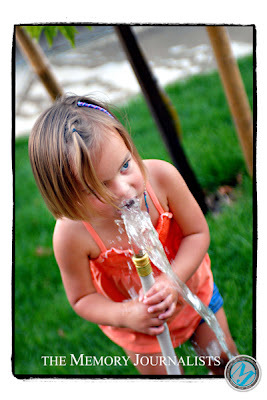 It all started with HarLee turning right into the water as Amber (their friend and neighbor) was watering the plants. 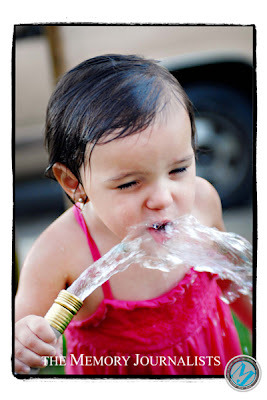 The girls got out their pots and pan and were filling them up, and getting drinks out of the hose. At one point Gracie was just soaked and put her hand to her head. Teresa laughed as she told me that she wanted to join them, but was afraid of neighbors driving down the street seeing a 30 year old running through the hose water. With this heat, what better way to stay cool. The innocence of children is wonderful to see! 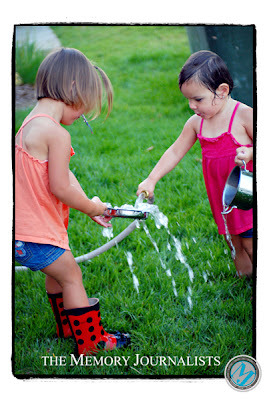 And with today's technology, it's nice to see that a hose and a little pot to fill up can be the utensils for fun. 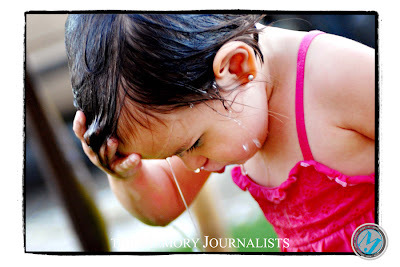 Teresa shared with me how much she loved playing in the yard in water as a child - which reminded me of my own fun family moment. Mom was away, and one of us kids (three girls) somehow started a water fight - inside the house. 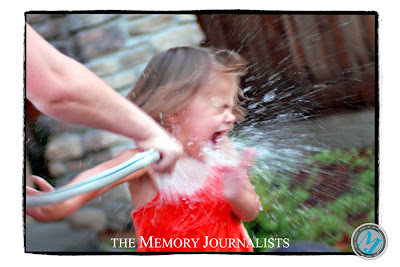 It escalated when Dad brought the hose, from the outside, through the sliding glass door and turned it on at us kids - inside the house. All three of us girls were rollling on the floor laughing. But Mom wasn't happy in the least when she got home! This last Sunday Cory and I headed over to Grant and Leslie's for their engagement party. I'm the maid of honor in Leslie's wedding next year in July - no, I won't be photographing it! (But I'm sure I'll be picking up a camera at some point during the wedding for photos.) I digress. We toured Grant and Leslie's "hall of fame". 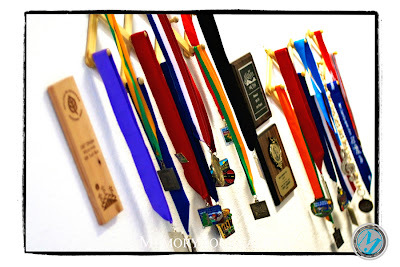 One side is all the awards Leslie has achieved in her running career and Grant was on the other side. I have to say, while surprised how many medals Leslie has already amassed, Grant is a superstar and Leslie has some catching up to do still. :-) The first image is Leslie's wall and the second image is Gran'ts wall. 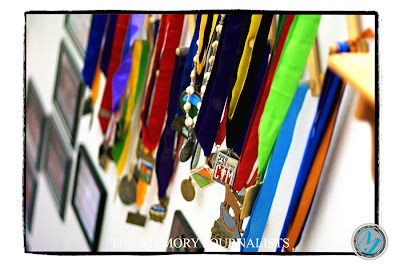 Leslie and Grant run marathons as training for their 100 mile races! 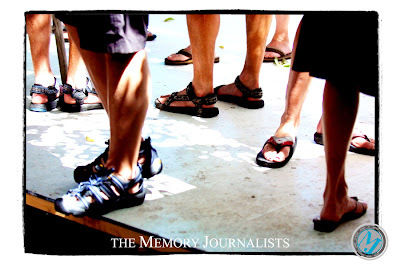 Back outside, we mingled among many very athletic friends and I snapped this shot of "feet". I love that everyone was wearing their comfy shoes. 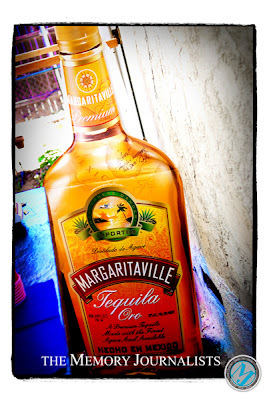 And lastly, too cool to pass up, last weekend was their Margaritaville party. We weren't able to make it but this giant size poster board was awesome! I just met with Nate and Melanie tonight in Sacramento to give them their first glimpse at their wedding album draft. We were able to catch up with what's been going in all our lives since we photographed their wedding day and I was totally treated to the most scrumptious home-made salsa ever - thanks Nate! 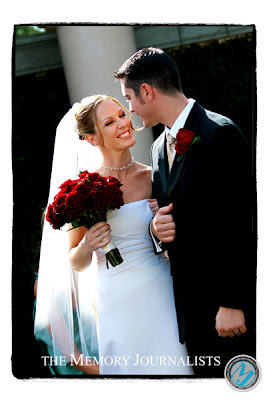 Their wedding album is now out under Albums & Video section as our Featured Album. Enjoy! By the way, this was one of Melanie's favorite images.